A stark contradiction has emerged in recent days as America’s largest abortion provider attempts to preserve its access to the federal treasury. The Planned Parenthood Federation of America, a perennial bone of contention in Congress, is declining in size and scope, but not because of any decision Congress has yet rendered. The decline is occurring because women are voting with their feet—or, to be more precise, acting on their freedom to choose other health-care providers. By itself, the trend lines are clear. Planned Parenthood understandably wishes to downplay its role in carrying out abortions and harvesting the vital organs of the unborn for experimental uses. Equally understandably, it wishes at the same time to play up its role in providing services that most people see as beneficial or mainstream: cancer screenings, STD diagnosis and treatment, and provision of contraceptives. From time to time, the organization’s long history of leadership in movements for eugenics and population control has spurred controversy, and rightly so, but it is safe to say that Planned Parenthood’s national and international status in the vanguard of abortion promotion lies at the center of debate. On this front, the indicators are not in Planned Parenthood’s favor. An analysis by the Charlotte Lozier Institute of national data drawn from Planned Parenthood’s annual reports for the past decade shows a steady contraction of Planned Parenthood’s client base, services, and community presence. Between 2004 and 2016, total cancer screenings at Planned Parenthood, including Pap smears, breast exams, and colposcopies (the organization does not perform mammograms), declined from more than 2 million per year to just under 634,000, a reduction of more than 70 percent. This change was influenced by changing screening protocols (for example, the U.S. Preventive Services Task Force recommended in 2012 that Pap smears for cervical cancer be conducted less frequently), but contraceptive provision was not subject to such influence. There, Planned Parenthood experienced a decline of more than 400,000 women seeking reversible contraception over the same time. The newly-released 2015–2016 Planned Parenthood Federation of America annual report shows that in terms of pregnancy outcomes, Planned Parenthood’s nearly exclusive focus on abortion continues. In 2015–16 the group carried out more than 328,000 abortions, an increase over the previous year and a figure that is one of the few “services” not to show decline. Meanwhile the provision of prenatal care sagged below 10,000 women, a reduction of more than 75 percent from 2009. Adoption referrals rose, but reported numbers are below 2,900. Unborn children identified at PPFA affiliate clinics still have a lower than 4 percent chance of emerging alive. In the past few weeks, Planned Parenthood has announced that a total of ten facilities in Wyoming, New Mexico, Colorado, and Iowa are closing. The lone remaining Planned Parenthood clinic in Wyoming will close this July. With only 480 patients in the most recent reporting year, the Wyoming clinic is seeing fewer than two women per day. In New Mexico, a blue state politically, three clinics are closing and patients are being transferred to other providers or Planned Parenthood clinics farther away, despite what a local news outlet called a financial “surge of support” in New Mexico. Shaya Torres, a spokeswoman for the regional Planned Parenthood affiliate of which the closing clinics are a part, acknowledges that these facilities are seeing fewer patients. “The ones we are closing are definitely some of the ones where less people are going,” she says. Torres told the Albuquerque Journal on May 18 that the decline “was noticed after the Affordable Care Act went into effect” and Medicaid was expanded in New Mexico. “The ACA expanded the number of individuals who had insurance… and of course we support that…It’s just such a changing environment,” Torres told the paper. In Iowa, four Planned Parenthood clinics are closing but there, organization officials blame Iowa state legislators who decided to reject federal family-planning funds and instead use state money for clinics that do not carry out abortions. The four Iowa clinics have offered chemical abortions in the past. The result will change who offers publicly-subsidized family planning in Iowa, but not the level of services, because Planned Parenthood clients will go to the new state-run locations. 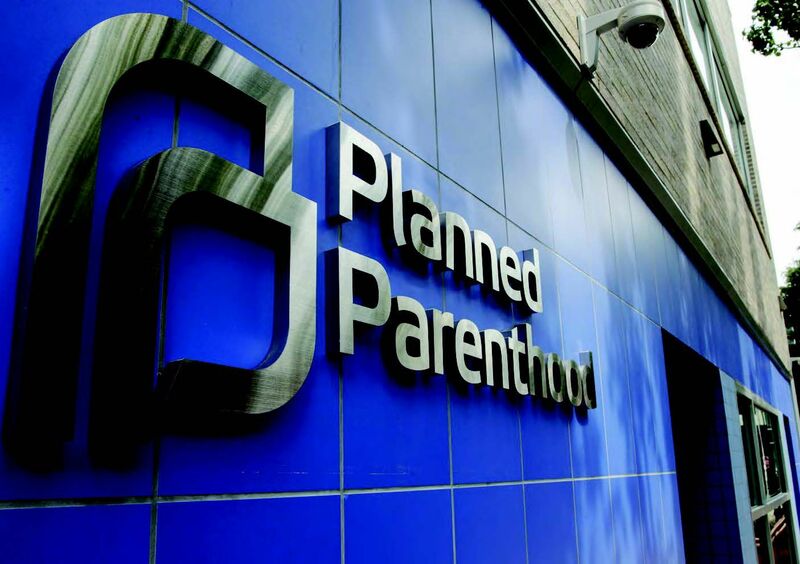 In Wyoming, Planned Parenthood officials themselves noted that they had contacted three local community health centers, all of which take walk-ins and accept Medicaid, to accept the clients Planned Parenthood’s closure will affect. Similar transfers took place in April, with the closure of five Planned Parenthood locations in the Lancaster, Pennsylvania, area. All of this is occurring as total Planned Parenthood revenue from federal and state sources has been rising, not falling. The mixed explanations from Planned Parenthood officials (and other explanations critics might supply, like the notoriety Planned Parenthood continues to receive for its role in gruesome fetal-organ collection, as recent videos have exposed) may mask a straightforward truth: Inexpensive family planning is nearly ubiquitous, from drugstores, to free clinics, to community health centers, to doctors’ offices, and beyond. Planned Parenthood’s model belongs to a fading era of embattled radicalism, tied to other political agendas, including elective abortion all the way to term. Women deserve better, and as community health centers continue to grow and more and more women have health insurance, they can find a wider range of care for themselves and for their families just down the road. Congress can and should accelerate this welcome transition in the coming budget battles. Chuck Donovan is the president of the Charlotte Lozier Institute, the education and research arm of SBA List. This article first appeared in National Review. Reprinted by permission.